WOW! What a busy week we have had! 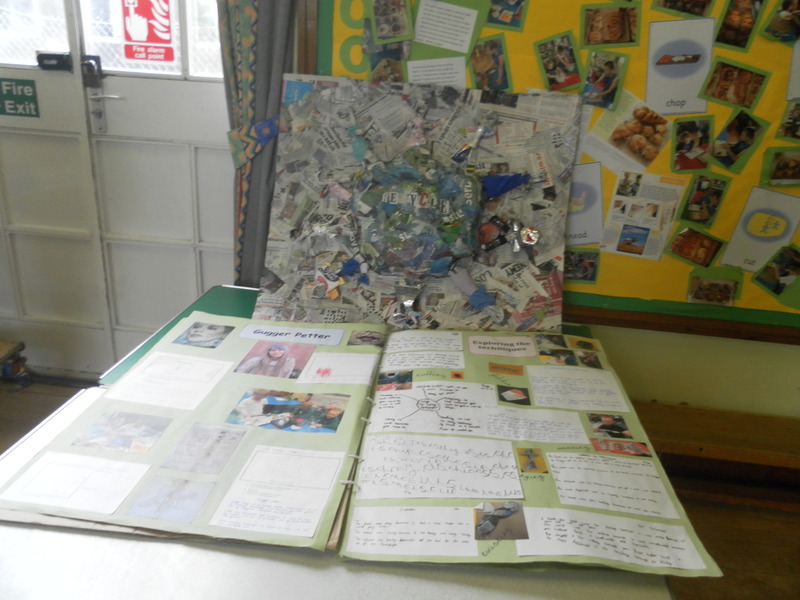 Each child has been working in a team to create their own piece of artwork. 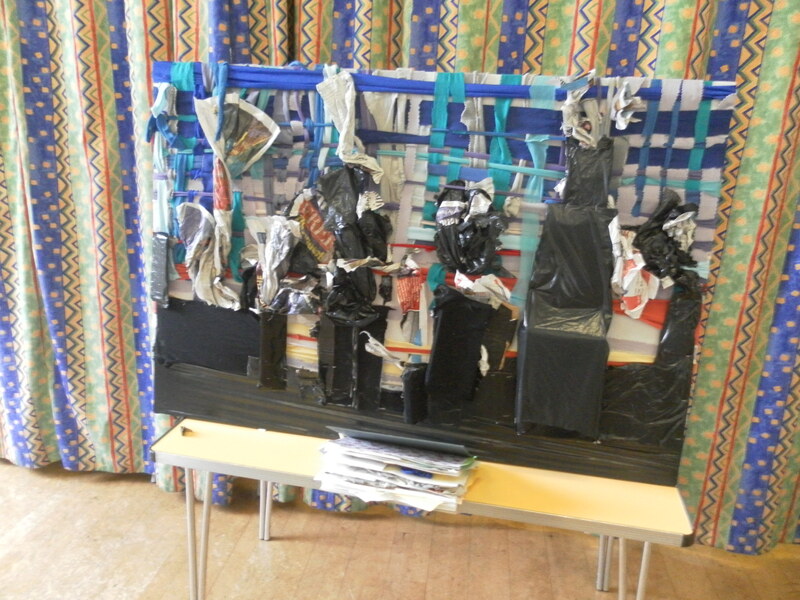 Each team were given the task to create a piece of artwork based on the work of an artist which uses ‘rubbish’. They had to make a learning journal to show all there techniques and design ideas before they decided on their final piece. 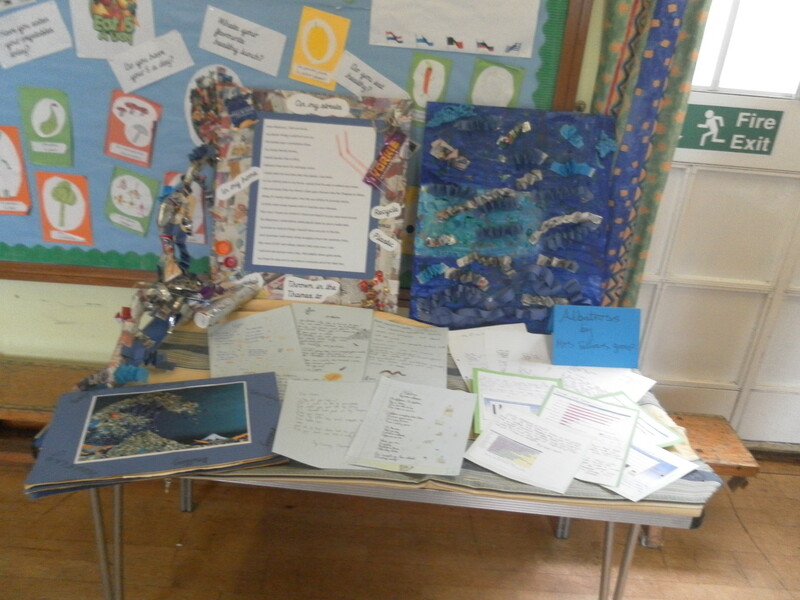 Each team did a fantastic job and we hope the work around the school will help us remember just how lucky we are and how some people around the world have to live and work in rubbish dumps. What do you think to the artwork and the learning you have done this week? What has been the best learning? What different techniques did you try out? How did you work in your team? What do you think to the finished artwork? How will you use all these skills in future learning and artwork projects? I can see mine it is the newspaper one and if you look closely my assessment is the one next to the picture of Gugger petter. 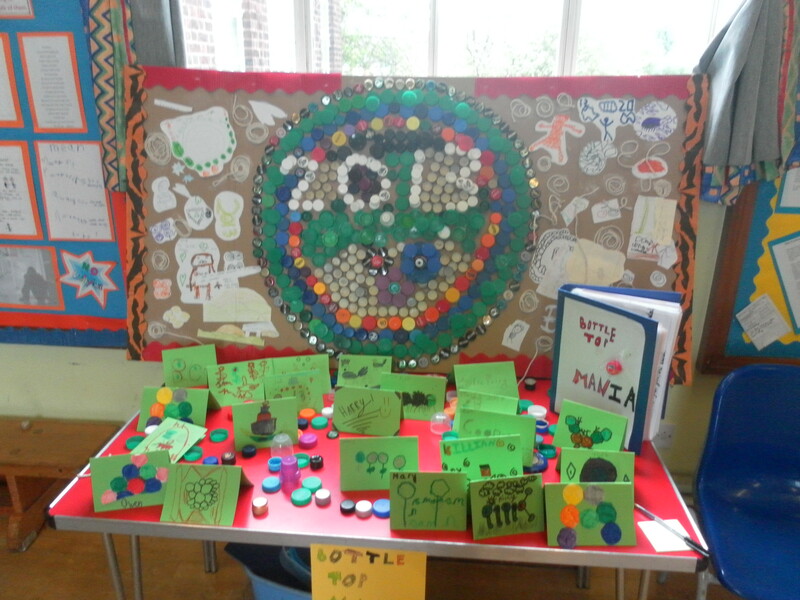 I love all our recycled art work. It looks amazing! Mine was the top right. They all look amazing ,mine is the top right one we did air polloution. I love our art work mine is the bottom right. Did you know that plastic never goes away. I think we worked well as teams too. I wonder what other learning habits we used? In the newspaper group we took time to save time and were resilient.